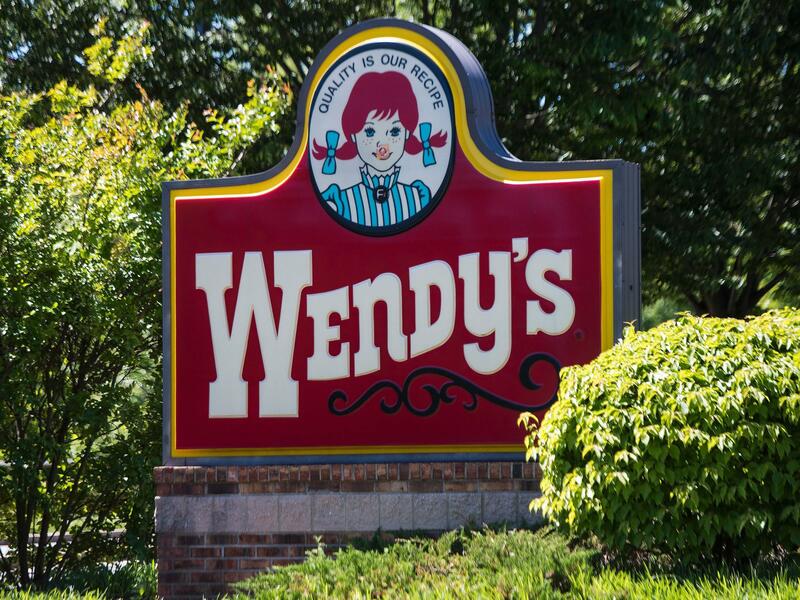 Ten states and the District of Columbia are investigating Wendy's and other fast-food chains over the use of "no poach" agreements that limit the ability of workers to switch jobs. Traditionally, such clauses are in high-tech companies that want to protect trade secrets and keep top executives from jumping to work for a competitor. But such restrictions are also used by fast-food franchises where they agree not to recruit or hire workers who work for other franchisees in the same chain. The practice is coming under increasing fire from regulators and lawmakers who are concerned that it limits workers' ability to get new and better jobs. In the investigation, announced on Monday, the attorneys general are seeking information from Burger King, Wendy's, Arby's, Panera, Dunkin' Donuts, Five Guys, Little Caesars and Popeyes. The goal of the probe is to help quantify how many people are affected and how it affects workers' ability to move up the ladder, says Josh Shapiro, Pennsylvania's attorney general. "All you're doing there is holding people back; you're driving down wages and benefits and decreasing opportunity," Shapiro says. "We see that as being wrong, potentially violative of the law, which is why we are leading this investigation and trying to get to the bottom of it." While noncompete clauses restricting a workers' ability to take similar jobs are relatively common for some jobs that involve trade secrets or intellectual property, regulators argue that such measures aren't justified when it comes to low-wage restaurant work. About 80 percent of fast-food operators use such agreements, Shapiro says. But restaurants are not the only industry that relies on them, and others, too, will be targets. Other regulators and lawmakers have already expressed concern about no-poach agreements. The Justice Department is investigating such contracts for potential violations of antitrust laws. In February, Democratic Sens. Cory Booker of New Jersey and Elizabeth Warren of Massachusetts introduced legislation barring contracts that prevent workers from being hired by their competition. The proposal is seen as having little chance of passing a Republican-controlled Congress. No-poach agreements have been standard practice for some time, says Matt Haller, senior vice president for the International Franchise Association. "The intent has always been to protect the unique, proprietary training," which is expensive and time-consuming, he says. But the restaurant industry is also shifting, Haller says. A handful of fast-food brands have also recently eliminated the practice — though he declined to say which ones. "The business model wants to help people succeed, and if there are things within franchise agreements that aren't helping employees get ahead, then we want to do something to address that," he says. The state attorneys general are asking restaurant chains to submit additional information about their no-poach agreements by Aug. 6. A common workplace practice affecting millions of franchise restaurant workers is coming under fire. It involves what are essentially non-compete agreements that prevent workers from getting jobs at other locations within the same chain. Ten state attorneys general and the District of Columbia are investigating the practice at eight national fast food chains. NPR's Yuki Noguchi reports this is part of a bigger concern among regulators that such practices limit workers' ability to improve their wages. YUKI NOGUCHI, BYLINE: Franchise restaurants are plentiful - more than a quarter of a million in the U.S. by one estimate. Anyone operating one must first sign an agreement with a big brand like Arby's or Wendy's. That agreement includes lots of terms about how to run the restaurant, including usually a provision to not recruit or hire employees from another franchise. Non-compete clauses restricting a worker's ability to take similar jobs are relatively common for some jobs that involve trade secrets or intellectual property. But regulators argue such measures aren't justified when it comes to low-wage restaurant work. Josh Shapiro is Pennsylvania's attorney general. JOSH SHAPIRO: All you're doing there is holding people back. You're driving down wages and benefits and decreasing opportunity. We see that as being wrong, potentially violative of the law, which is why we are leading this investigation and trying to get to the bottom of it. NOGUCHI: Shapiro says he hopes the investigation, which also includes Dunkin' Donuts, Panera and Burger King among others, will help quantify how many people are affected and how it affects workers' ability to move up the ladder. The fast food industry, he says, is just a starting point. J. SHAPIRO: This is a major problem in the fast food industry, but it's a problem overall with these franchisers. NOGUCHI: Matt Haller is senior vice president for the International Franchise Association. He says no-poach agreements, as they are known, have been standard for a long time. MATT HALLER: The intent has always been to protect the unique proprietary training. NOGUCHI: Haller says businesses invest a lot to train workers and don't want others to then be able to poach their people. Other regulators and lawmakers have already expressed concern about no-poach agreements. The Justice Department is investigating such contracts for potential violations of antitrust laws. In February, Democratic senators Cory Booker of New Jersey and Elizabeth Warren of Massachusetts introduced legislation barring contracts that prevent workers from being hired by their competition. The proposal is seen as having little chance of passing a Republican-controlled Congress. The Franchise Association's Haller says a handful of fast food brands have also recently gotten rid of the practice. HALLER: The business model, you know, wants to help people succeed. And if there are things within franchise agreements that aren't helping employees get ahead, then we, you know, want to do something to address that. NOGUCHI: Haller declined to say which restaurant chains have revised the policy. Yuki Noguchi, NPR News, Washington.